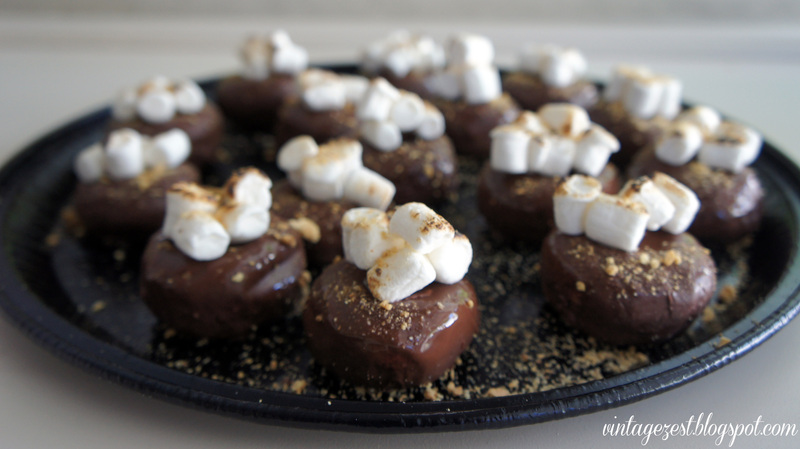 S'mores Mini Donuts ~ Diane's Vintage Zest! On Sunday, we had a BBQ and I said that we would bring something a little sweet. Initially, I was thinking about making ice cream, but we had some last minute errands to run beforehand. The time-consuming errands meant that I would most likely have to bring something storebought, which always makes me a little sad. Homemade is so much better, but we just didn't have any time for baking beforehand. 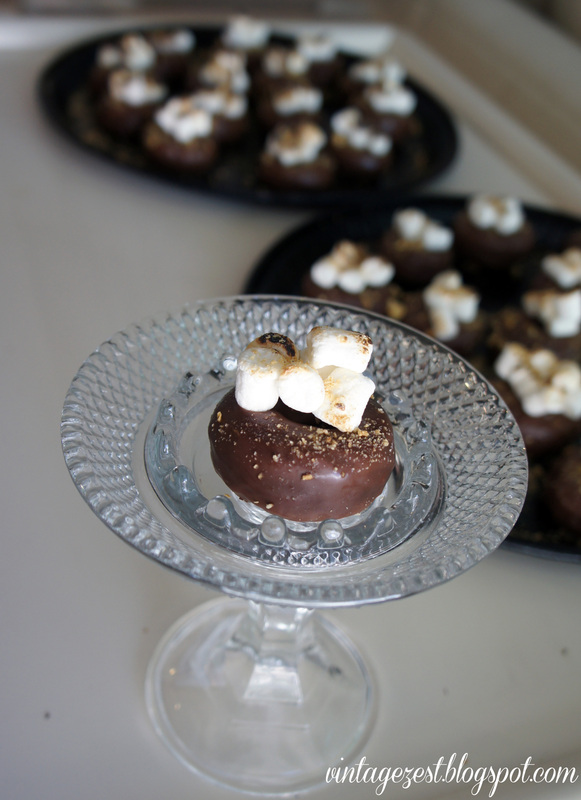 Since I had to rethink our dessert, I checked my e-mail and found out that August 10th is National S'mores Day! I wasn't sure if we would have access to a firepit, so traditional s'mores were out. Off the top of my head, I grabbed a few items, ran home, and made a quick, easy, budget-friendly, and crowd-pleasing dessert. 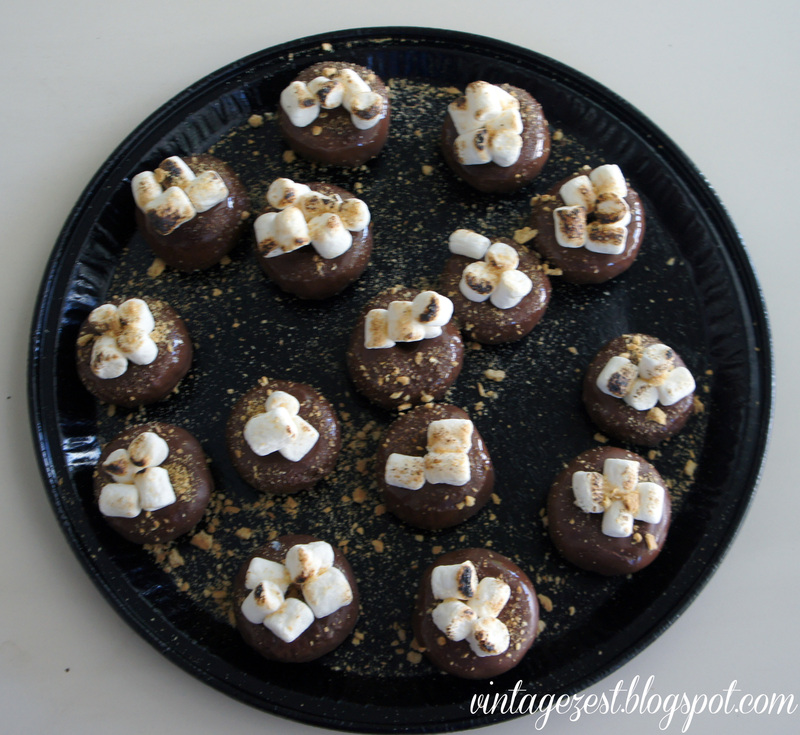 I'm happy to share my S'mores Mini Donuts with you! 1. 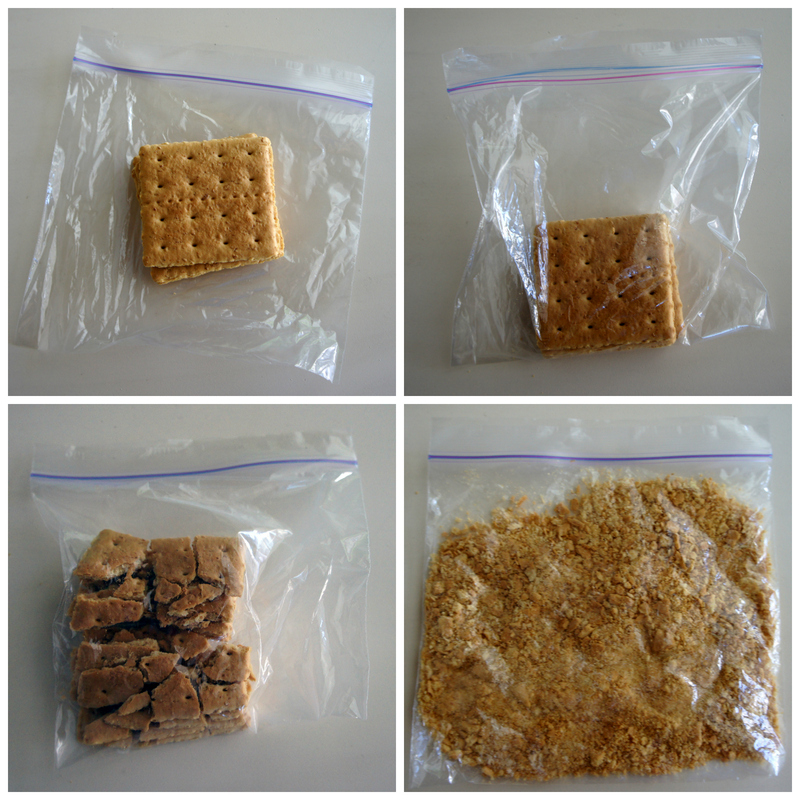 Crush the graham crackers into crumbs in a plastic sandwich bag. 2. Arrange the donuts on your heat-safe plate and pile the marshmallows on top. 3. 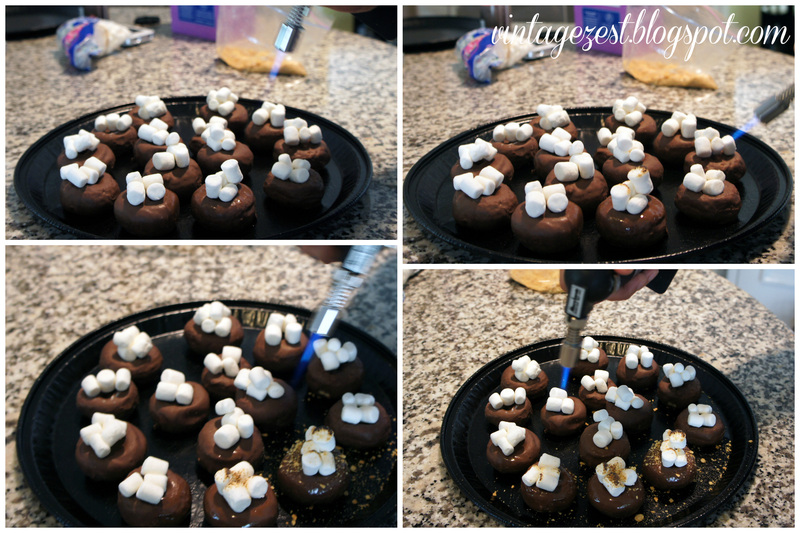 For each mini donut, toast the marshmallows, constantly moving the flame and not concentrating on one spot for too long. 4. As soon as the marshmallows are toasted to your liking, sprinkle the graham cracker crumbs over the donut, which will have melted slightly. The more melty the donut, the more crumbs will stick! 5. Repeat until the entire plate is finished! Seriously, aren't they adorable? Just a couple of minutes of set-up and I spent about $6 on both platters, with a ton of graham crackers leftover. Perfect for a party because they look so festive, and they're delish to boot! Also, they're a step-up from storebought, but without the hassle of baking at home. By the way, for those of you who follow me on Instagram, you would have seen my prepping with the brulee torch, which was my first time using it. I think I'm addicted, and I'm looking for a good creme brulee recipe now! Does anyone have any good recipes for my new love in the kitchen (AKA the kitchen torch)? Genius! I bet these are super yummy! They were gone in a flash, so our friends definitely thought so! Yummy! 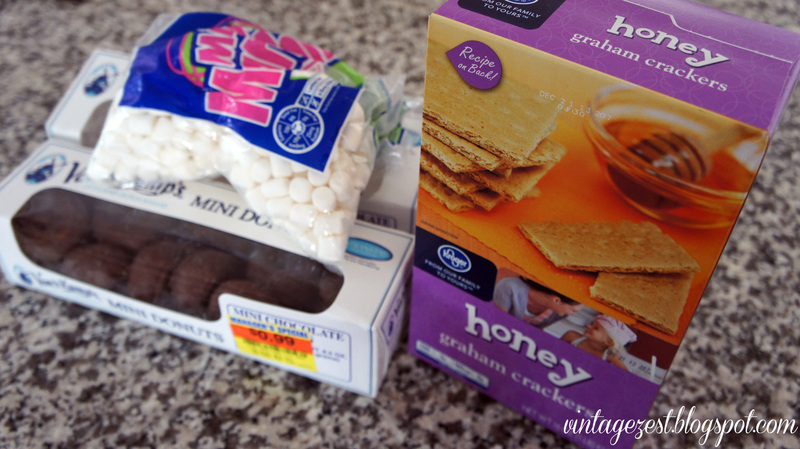 I am trying a new s'more recipe that I made up tonight! What a GREAT idea, My boys would love! Stopping by from Wildly Originally. Thanks! I must warn you that they're highly addicting. I brought it for a BBQ, and they started to be eaten before we even had our steaks! My guy admitted that he ate at least 5 of them. It's a good thing he has a good metabolism! I bet these are yummy! Love how easy they are as well. How fun are these! 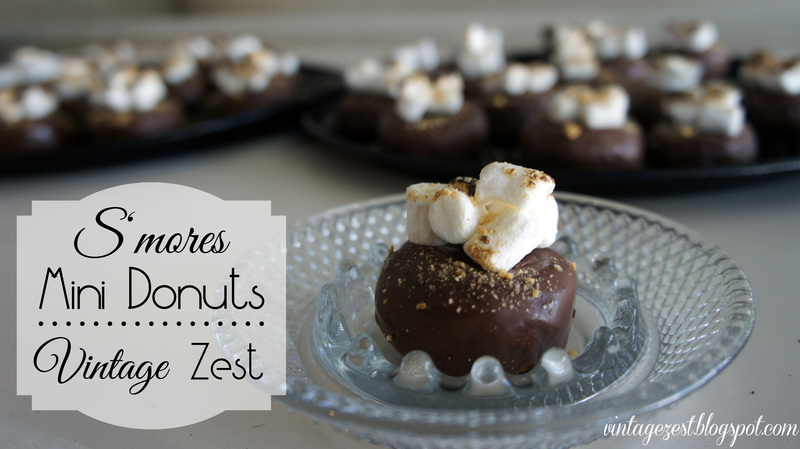 I love how you jazzed up store bought donuts (and I can always get behind anything dressed up in s'mores)! Looks AMAZING! Thanks for the feature! How fun to see it at the very top too! S'mores are so awesome, aren't they? I dislike bringing store bought items, because it's embarrassing when everyone knows that I know how to bake yumminess. I love that these look and taste a notch above the store bought! 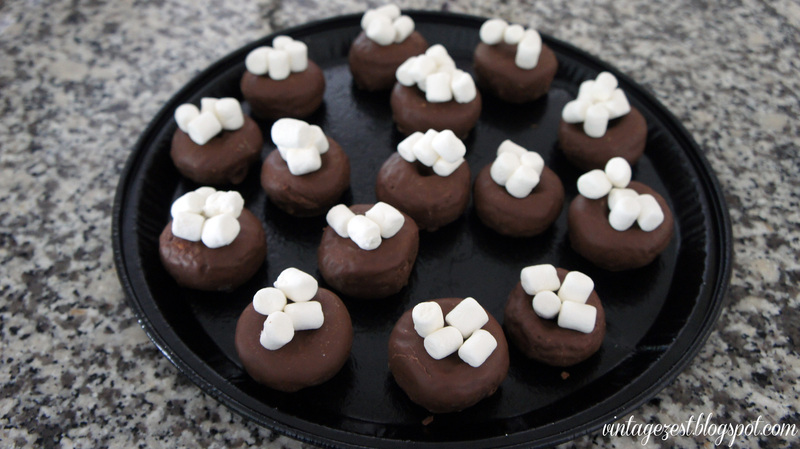 Your mini donuts are so beautiful and I love the little marshmallow topping, tres chic smores... thanks for sharing them with us on foodie friday. Sure wish I had a couple of these for my morning coffee treat. Hope you have a great weekend and thank you so much for sharing with Full Plate Thursday. Oh wow what a fantastic idea - they sound so yummy as well! What a great idea ... quick thinking on your part!! Oh, yum! I'll be bringing this to our neighborhood pot luck next weekend. Thanks for sharing at Inspire Us Thursday on Organized 31. These sound amazing! What a great idea! Thanks so much for sharing with us at Thursday's Temptation. I am going to be featuring these at tonights link party! You are welcome, and thanks for the compliment! Thank you so much! They definitely look adorable. :) Next time, I'm going to try the donuts from scratch, which I'm sure will be even better! Try them, and you won't be disappointed! Ha! I love that description. :) They are, indeed, lush! Good choice because it was definitely a crowd pleaser! Congratulations Diane ~ I featured your post today on Feature Fridays! Super cute, Diane! These would be perfect for a slumber party for my elementary school kiddos!